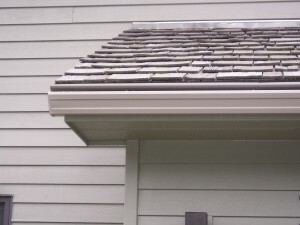 Gutter Toppers are the best gutter covers available for your home in Cedar Rapids, Iowa, or another surrounding area. These guards utilize a “rounded nose” design that will utilize surface tension to allow water to flow from your roof to your gutters while blocking out twigs, leaves, and other debris. This means that you will no longer have to waste time climbing up your ladder to clean out your gutters because nothing will ever be able to make its way into your gutter system. When you contact Waddle Exteriors for information regarding our Gutter Toppers, we will set up a complimentary consultation to discuss all of your options. During this initial meeting, one of our certified representatives will answer any questions you may have and provide you with an accurate estimate. For more information about the Gutter Toppers that we offer in Cedar Rapids, IA, and the surrounding communities, contact Waddle Exteriors today. We have maintained an A+ rating with the Better Business Bureau for several years thanks to our dedication to customer service and quality products.